The Song Thrush, a resident bird in Britain, is quite a lot smaller than its cousin the Mistle Trush. 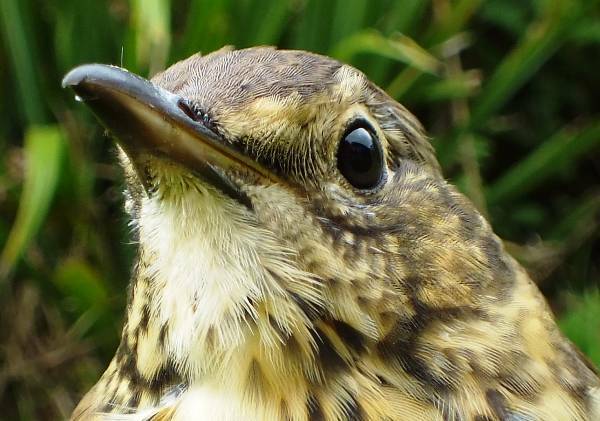 In recent years Song Thrush numbers have declined seriously, most particularly in farmland. In comparison with a Mistle Thrush, which sings a repetitive song, the Song Thrush has a much more diverse repertoire and a far finer tonal quality. When heard but not seen, repeated phrases help distinguish the Song Thrush from its equally versatile singing cousin the Blackbird. 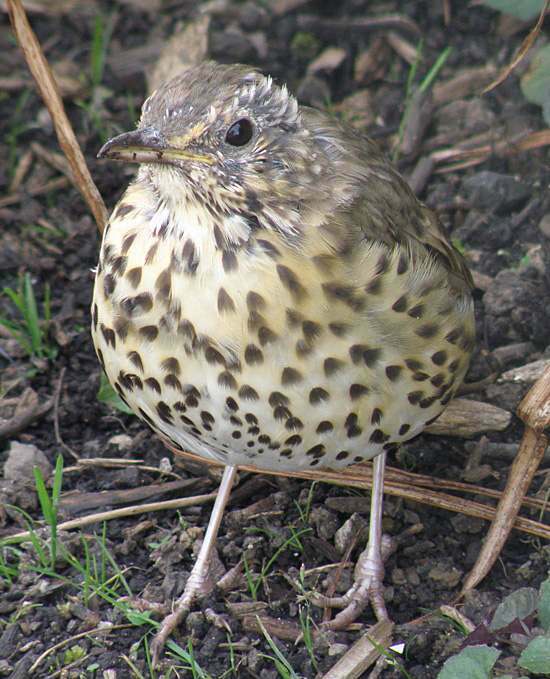 The pattern of dark brown spots is more or less random on a Mistle Thrush, compared with the somewhat smaller and more ordered lines of arrowhead-shaped spots on the breasts of most Song Thrushes. 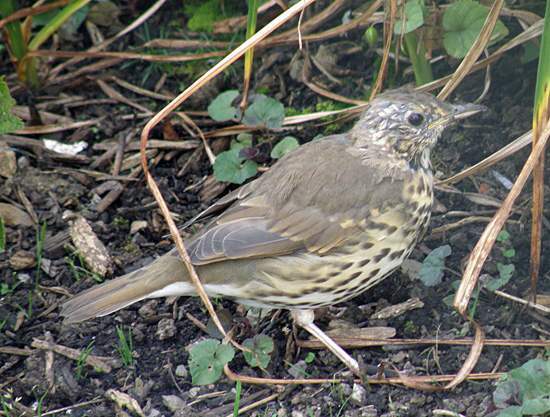 Song Thrushes build their nests in early spring in trees or bushes, using grass and roots with an inner lining of mud. Four or five blje eggs covered wit dark spots are a typical clutch. Snails, slugs, worms and insect grubs make up the staple diet of these lovely birds, which often select as stone to use as an anvil when smashing open snail shells.